Where is Madina Village School located? Madina Village is located 140 miles southeast of Freetown, near Mosenesie Junction in Lower Banta Chiefdom, Moyamba District, Sierra Leone, West Africa. When did Madina Village School open? The first day of school was September 16, 2013. When is the school year? The school year begins in mid-September and runs through mid-July. How long is the school day? 8:00 a.m. to 2:00 p.m. with a hot lunch served. What are the ages of the children at Madina Village School? Students enrolled are in pre-K, age 4, through 5th grade, age 14. How many staff members are there? 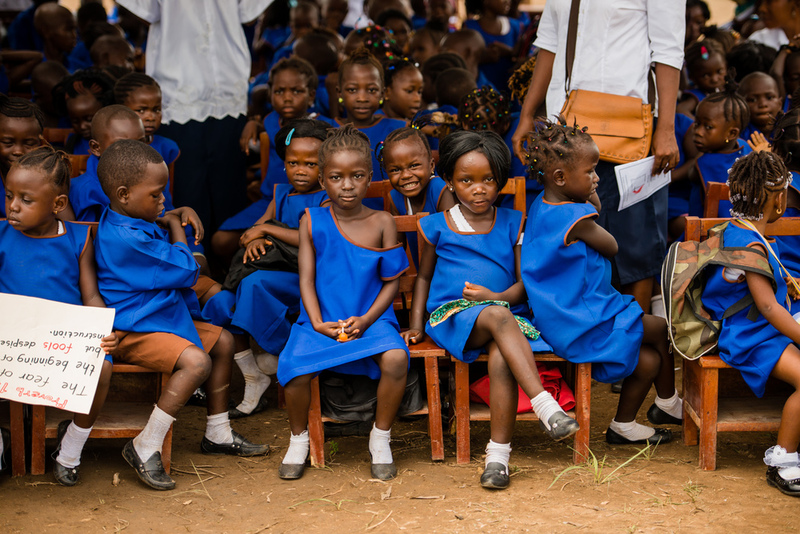 There are 13 trained teachers, 5 teaching assistants, and one full-time nurse. And other support staff. How many children are in Madina Village School? There are 390 attending school this year.. Classes are limited to 30 students each. Who supports Madina Village School? The school is supported through donations from private individuals, churches and other charitable groups. Many of our school supplies and books are provided by local schools and children's groups.